CBT renewals aren’t technically a different course to the CBT but are often referred to as a ‘renewal’. The CBT renewal course is the full CBT training course, usually taken at a slightly quicker pace if riders can show they are confident with each element of the CBT. All 5 elements must still be completed. You would need to do a CBT Renewal course in order to ‘extend’ your CBT for another 2 year period. To take a CBT renewal you need to have a valid CBT certificate! You will need to have your CBT Certificate with you on the day of your CBT Renewal Course. You will also still need to provide your Full or Provisional UK Driving Licence or EU Driving Licence (with counterpart D9 licence) in order to take a CBT Renewal. The course is a version of the CBT Course to ensure that your riding is still of a good standard, you are still obeying the rules of the Highway Code and you ride safely for yourself and for others. The course typically lasts 3 to 4 hours and includes on-site and on-road riding to assess the key skills involved in responsible motorcycling. It is possible to do the CBT Renewal on your own scooter or motorcycle at some training sites provided that your CBT is still valid on the date of your CBT Renewal and your bike is insured and road legal. Once you have completed your CBT Renewal you will be issued with a new CBT Certificate which will be valid for another 2 years from the date of your CBT Renewal Course. 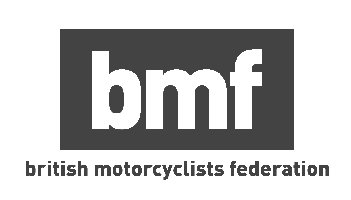 For riders who are completing a CBT for the 2nd or 3rd time, it can make sense to take a full motorcycle licence in order to save renewing every two years, un-restrict your licence and learn more skills to riding a motorcycle on the roads. Ready to book your CBT Training? Start here. This information is given to you as a guide to support you in your choice of licence and RideTo has made every attempt to ensure the accuracy and reliability of the information provided about motorcycle licence and training requirements. However, RideTo cannot guarantee the information is up to date, correct and complete and is therefore provided on an "as is" basis only. RideTo accepts no liability whatsoever for any loss or damage howsoever arising. We recommend that you verify the current licence and training requirements by checking the DVSA website.